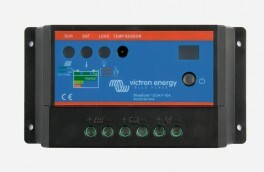 New SmartSolar MPPT solar charge controllers from Victron Energy. 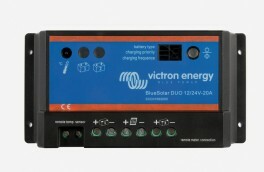 Victron Energy BlueSolar features a wide range of both MPPT and PWM solar charge controllers. 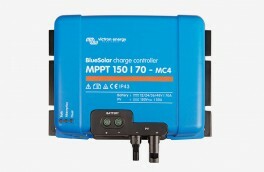 BlueSolar controllers cover a complete range of solar photovoltaic controllers between 5 to 100 Amps, and input voltage range up to 250 Volts. 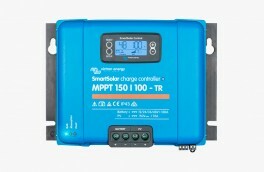 MPPT model names shows information about the maximum solar input voltage and maximum charge current to the battery. For example MPPT 75/50, the first number is the maximum PV open circuit voltage. The second number, 50, is the maximum charge current. For more information about PWM or MPPT charge controllers, feel free to contact our technical / commercial assistants.